I’d never thought of making plum sauce with dried plums (duh). 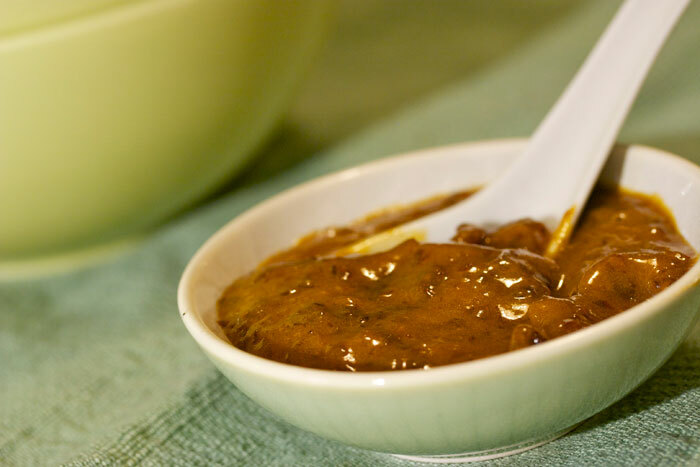 Turns out it’s that rich plum puree that gives this iconic Chinese sauce its signature taste. This one has a bit of zing from the orange juice and shallot, and is less cloyingly sweet than the store-bought versions. Pulse the shallot, plums and water to a paste in a food processor. Add vinegar, brown sugar, orange juice and salt and continue to pulse until a smooth paste.